SPORAH TV: THANK YOU FOR YOUR SUPPORT THROUGHOUT 2012!!! THANK YOU FOR YOUR SUPPORT THROUGHOUT 2012!!! 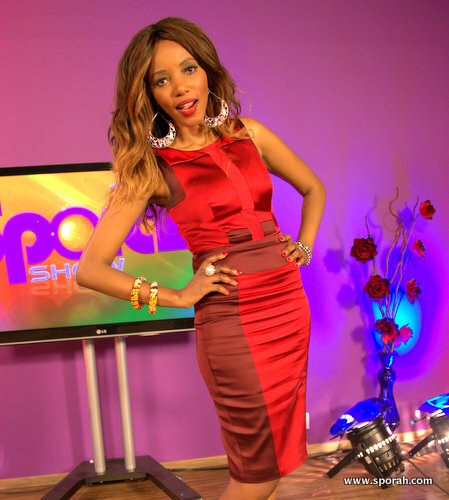 I would like to say a BIG, HUGE thank you to all our viewers, it's been a successful year for THE SPORAH TV SHOW. This year you pushed our show up in the list of London's number one African talk show, we cannot thank you enough for that. Once again, thank you so much for your incredible support in 2012, we have some great plans for 2013 and we hope you will stick around to see what we will be up to. Happy New Year to you and your loved ones, we wish you peace, prosperity and happiness. Happy new year to you beautiful, you deserve everything sporah. Na wewe pia dada, nakupenda sana. As always SPORAH your beautiful no matter what you wears. Classy and extemely relevant to our African Culture. I love your life style and the fact that your minds is business and takes care of your business. W're so proud of you. KHERI YA MWAKA MPYA MY ROLE MODEL. I inspire to be just half like you. Na wewe pia dada, mi napenda sana unavovaa, karibu songea kwa wajanja. Kheri ya mwaka dada, sasa vipi Tanzania lini?